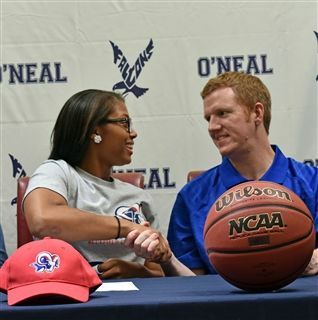 Over her three years at The O’Neal School, McRae has seen the basketball program make tremendous strides. In her senior campaign, McRae served as a team captain and defensive anchor leading the team in steals. Her leadership was instrumental in the Falcons bringing home the Tri TAC regular season and tournament championships along with finishing as NCISAA 2A State Runners Up. 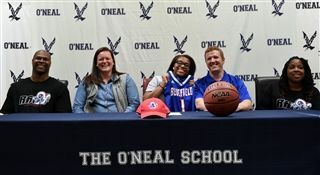 In addition to the team success, McRae added individual awards to her resume twice being named to the all-conference team in her junior and senior seasons, as well as, being selected for the prestigious North Carolina Private School Senior All- Star Basketball game. 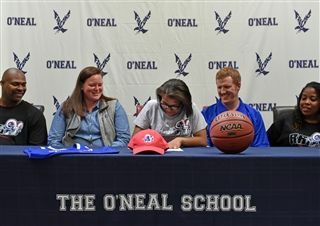 Along with her successes on the basketball court, McRae has been a part of the Varsity Volleyball and Track and Field teams during her time at O’Neal. 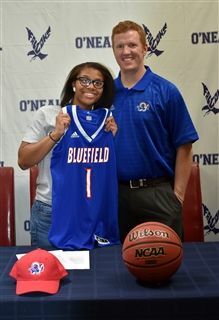 Demonstrating success as a multi-sport athlete McRae also earned All-Conference honors in volleyball and All-Conference and All-State recognition in Track and Field. Bluefield College is a private Christian liberal arts college in the Appalachian Mountains of southwestern Virginia. The Rams are an NAIA Division 1 member and compete in the Appalachian Athletic Conference.